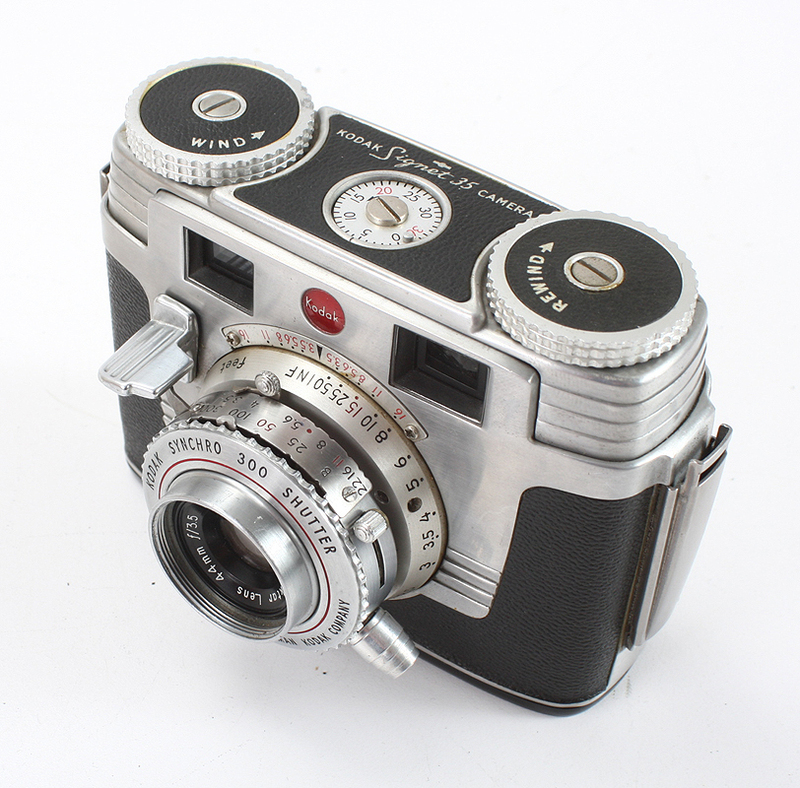 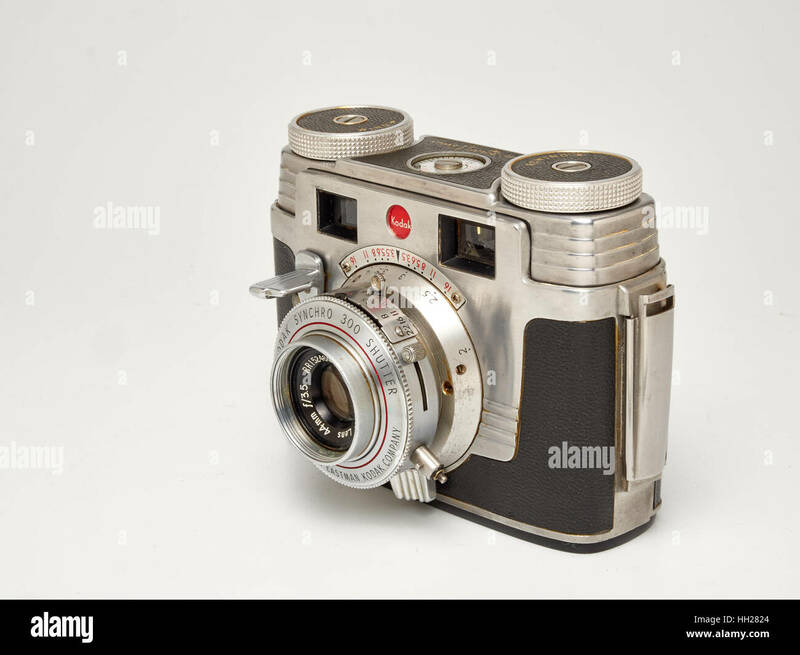 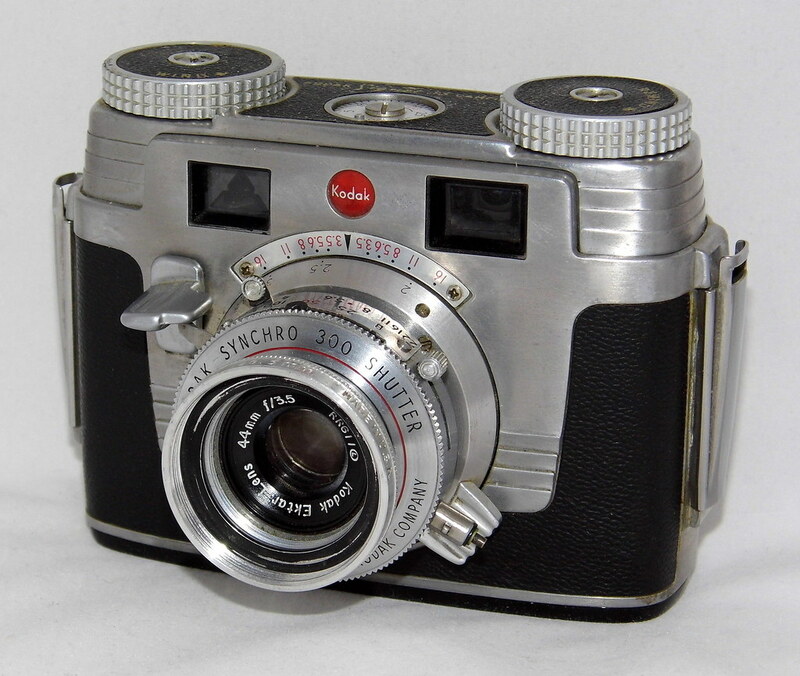 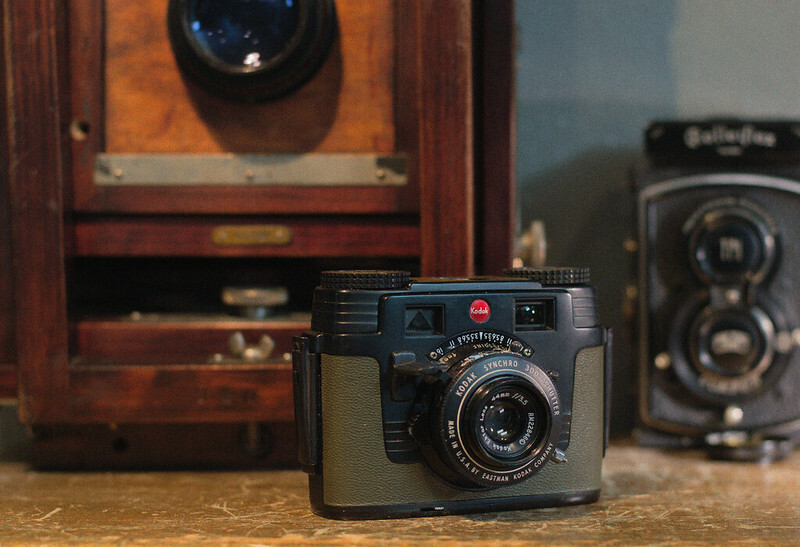 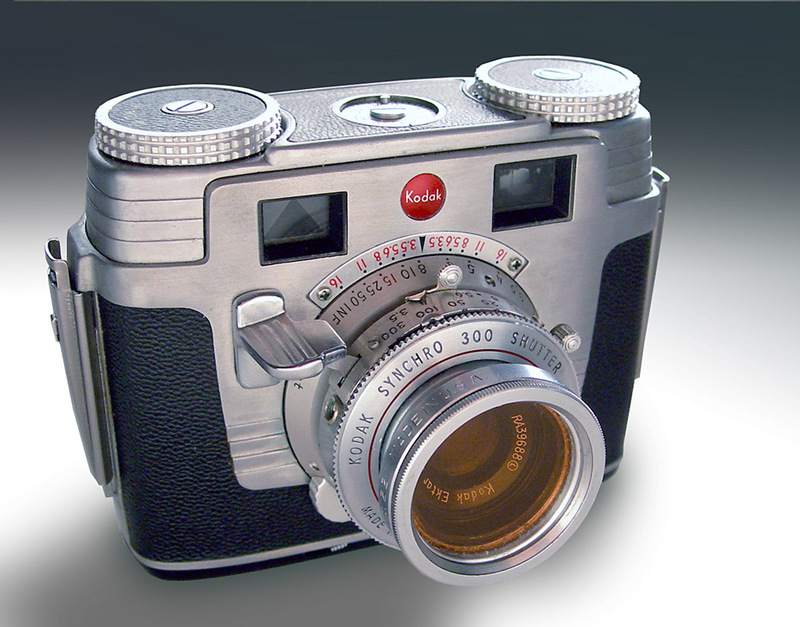 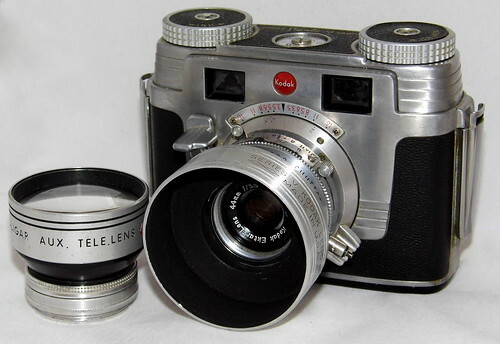 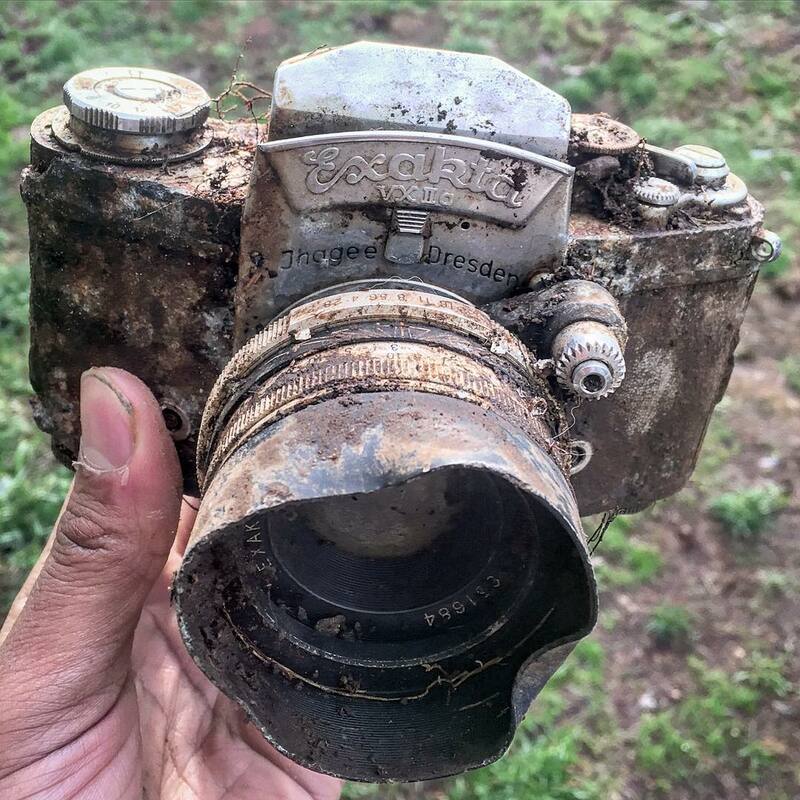 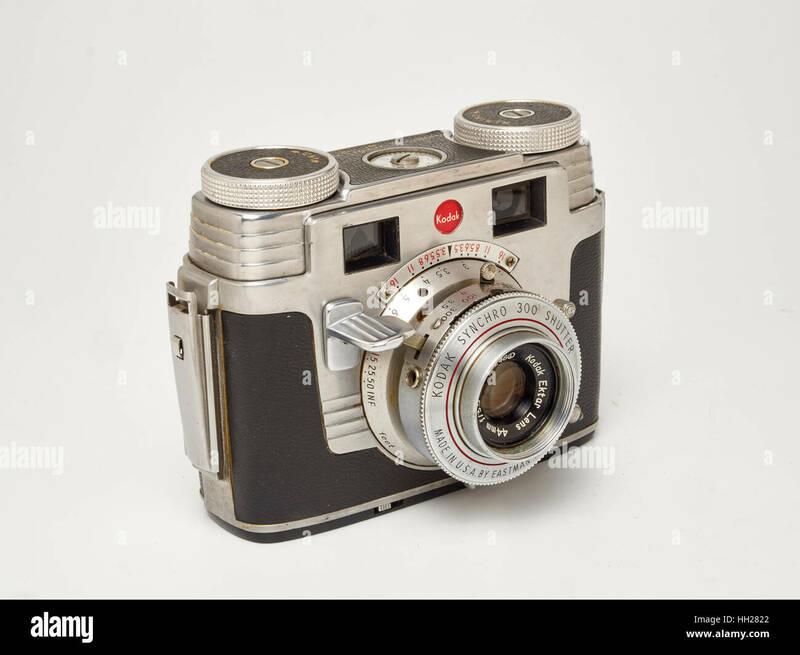 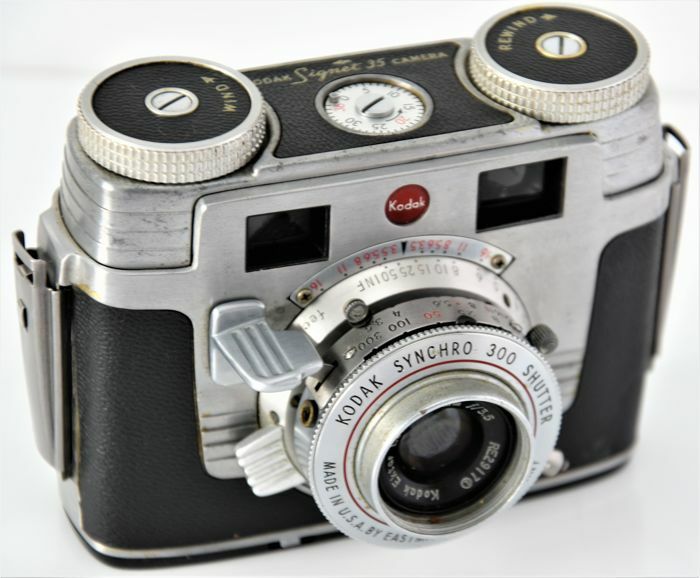 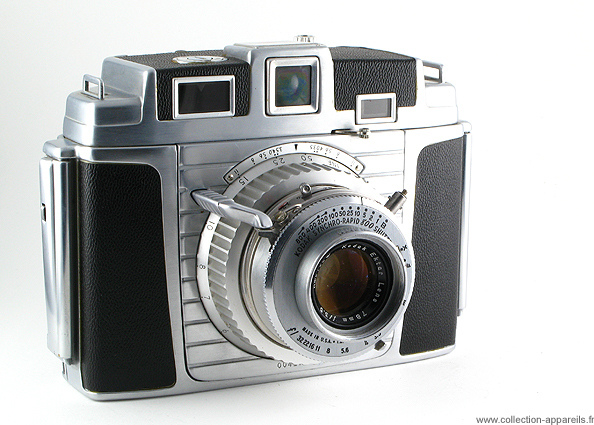 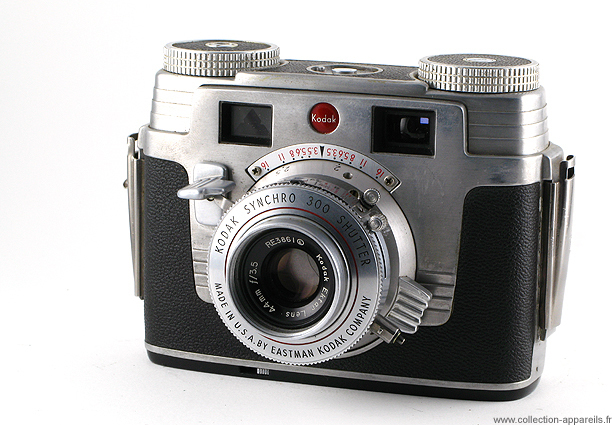 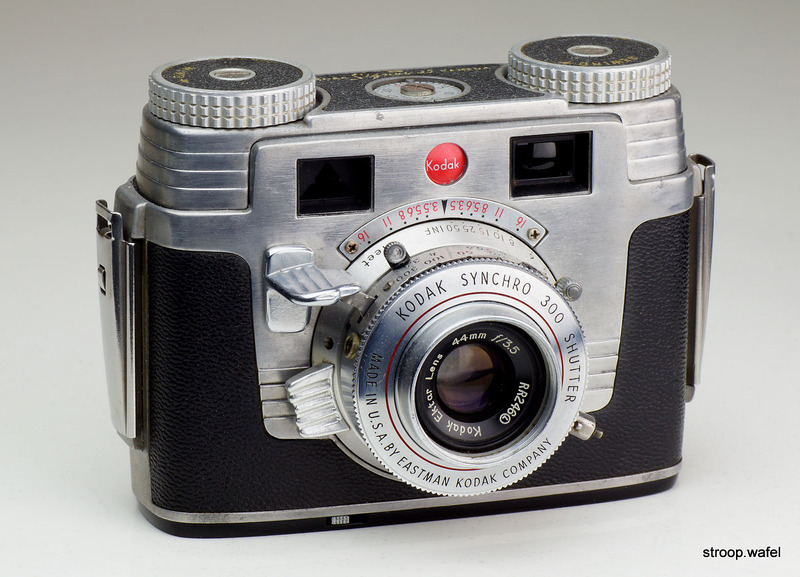 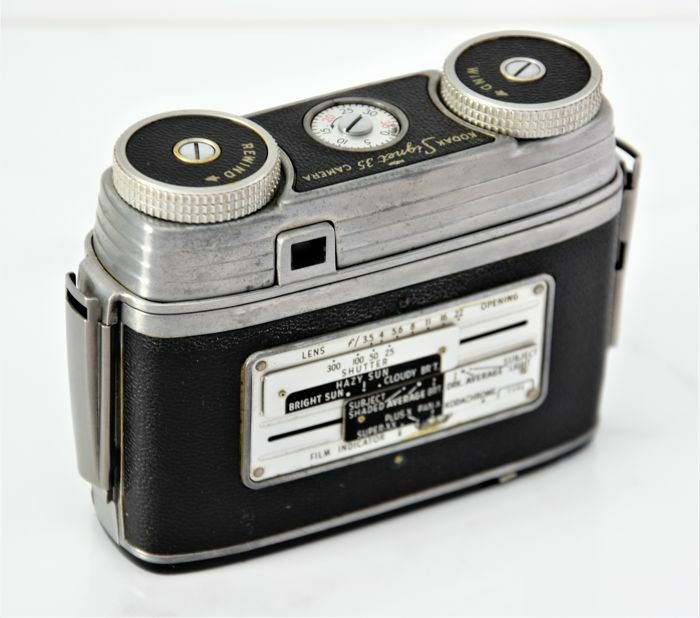 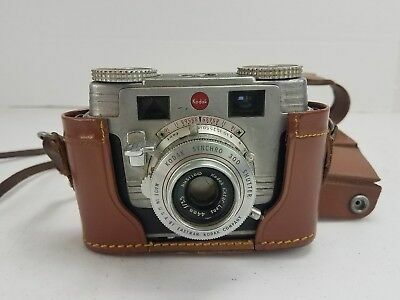 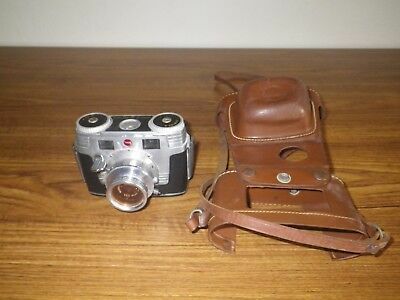 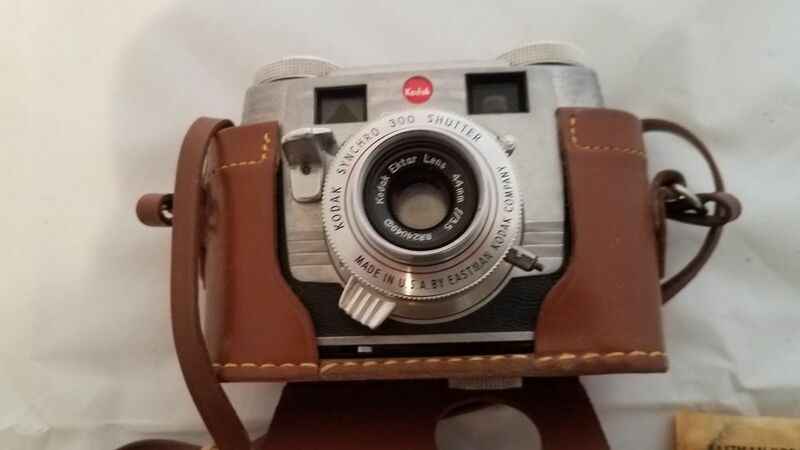 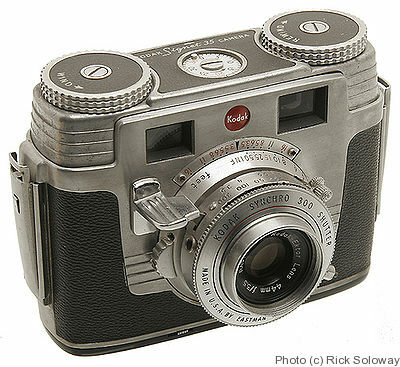 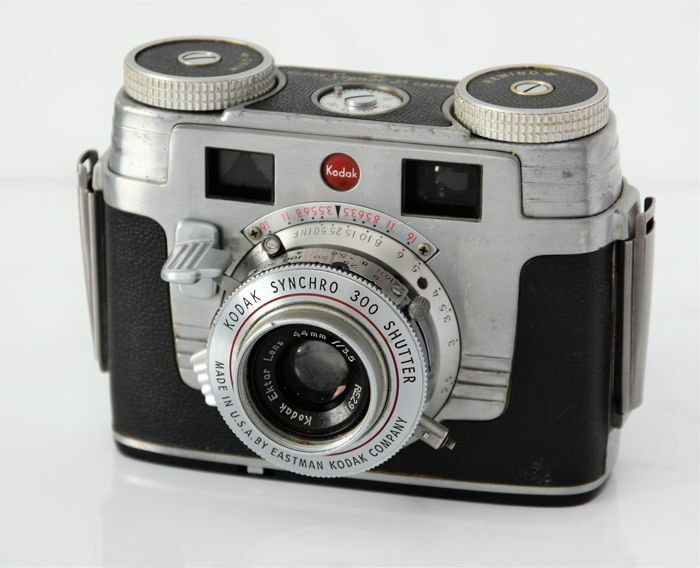 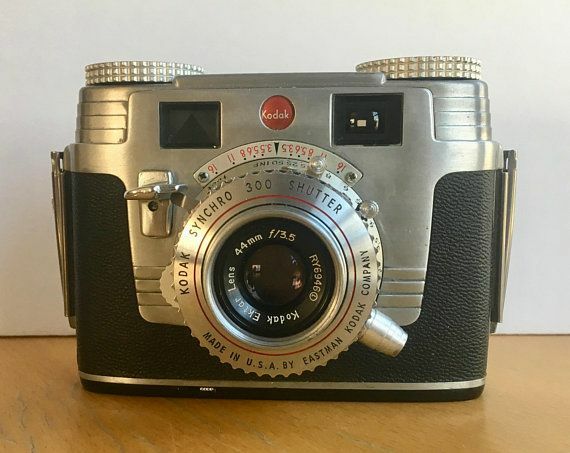 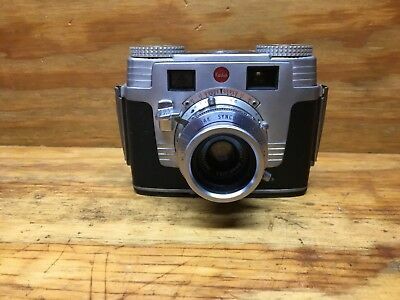 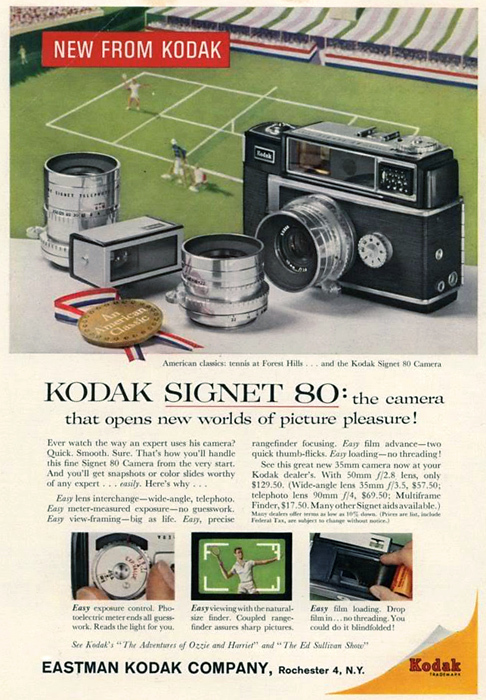 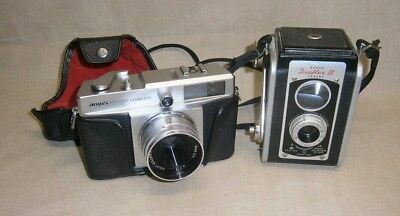 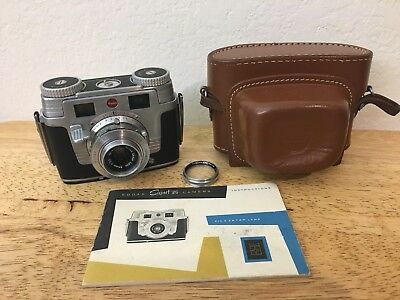 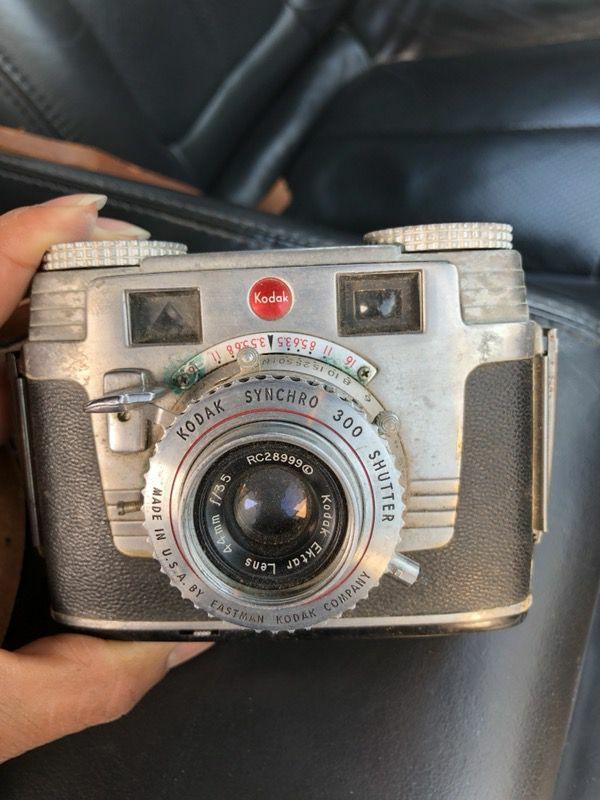 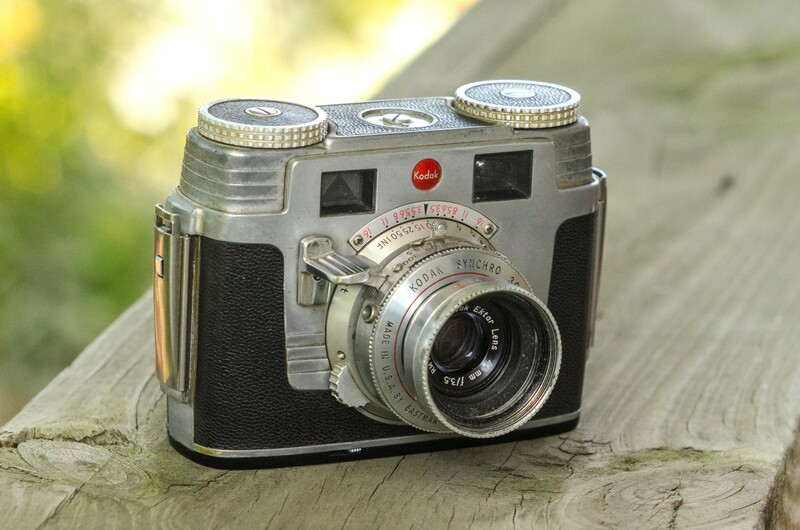 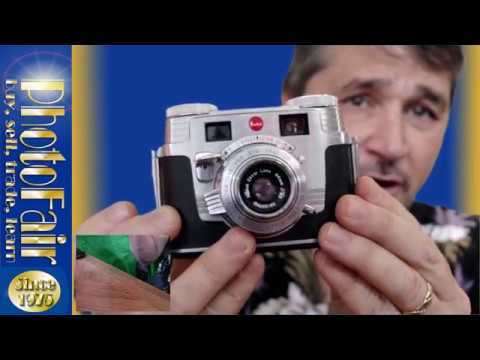 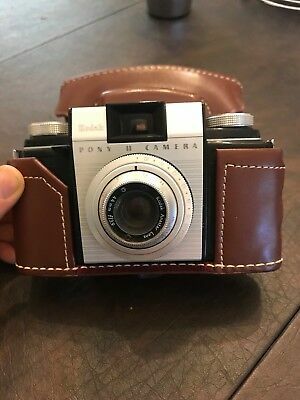 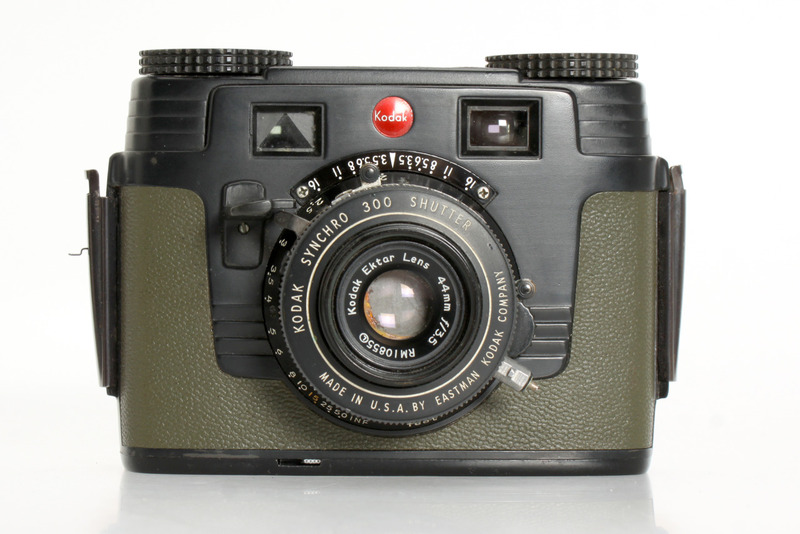 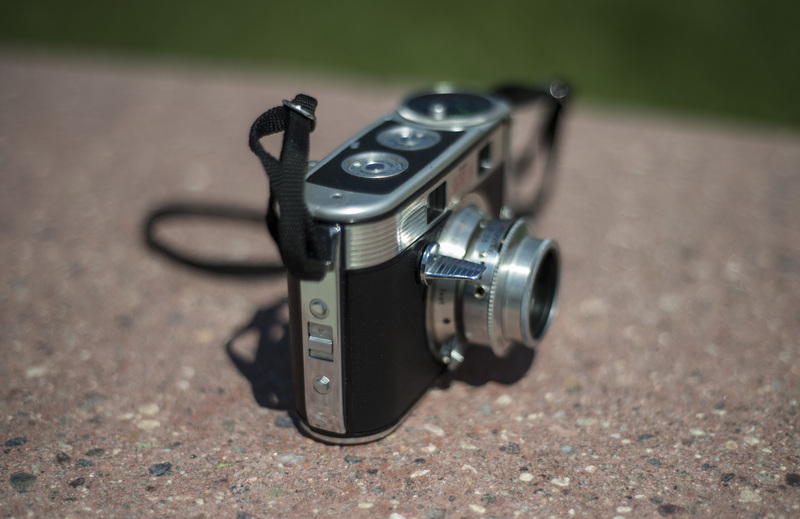 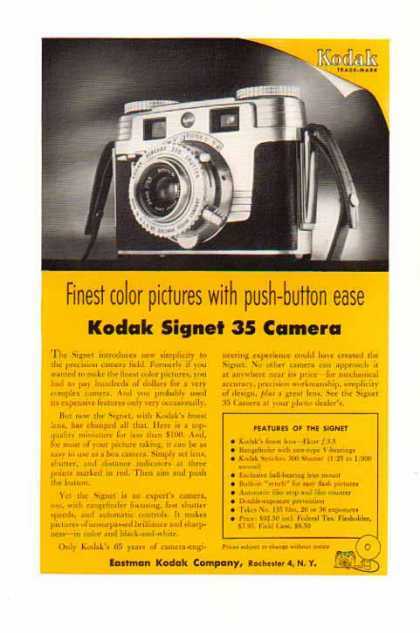 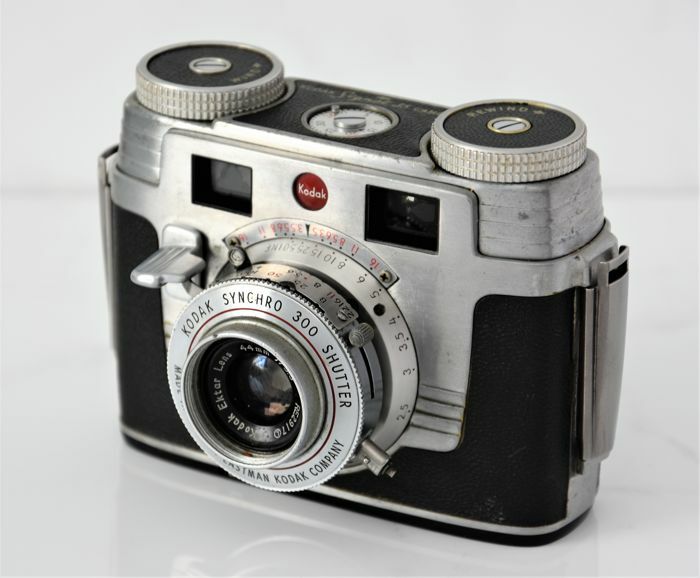 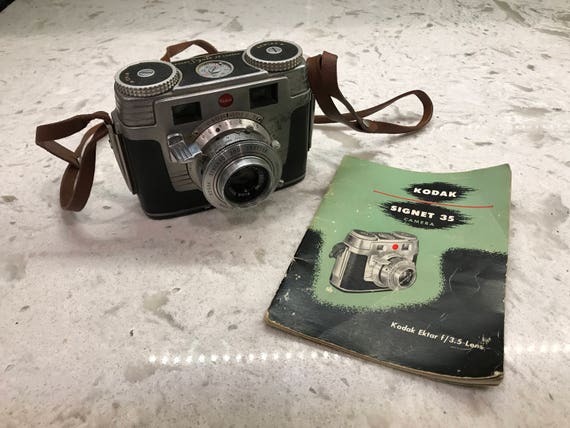 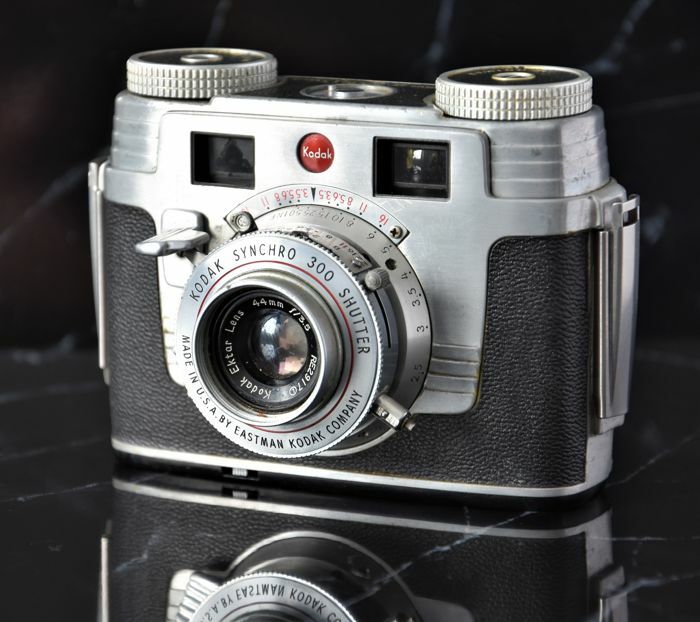 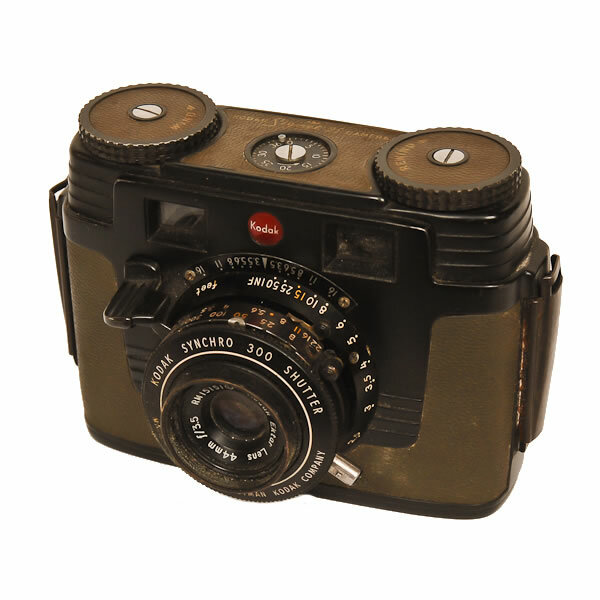 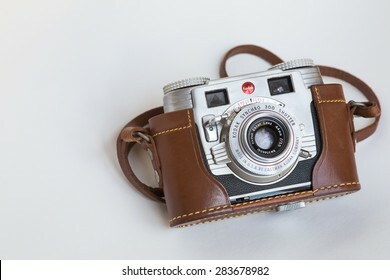 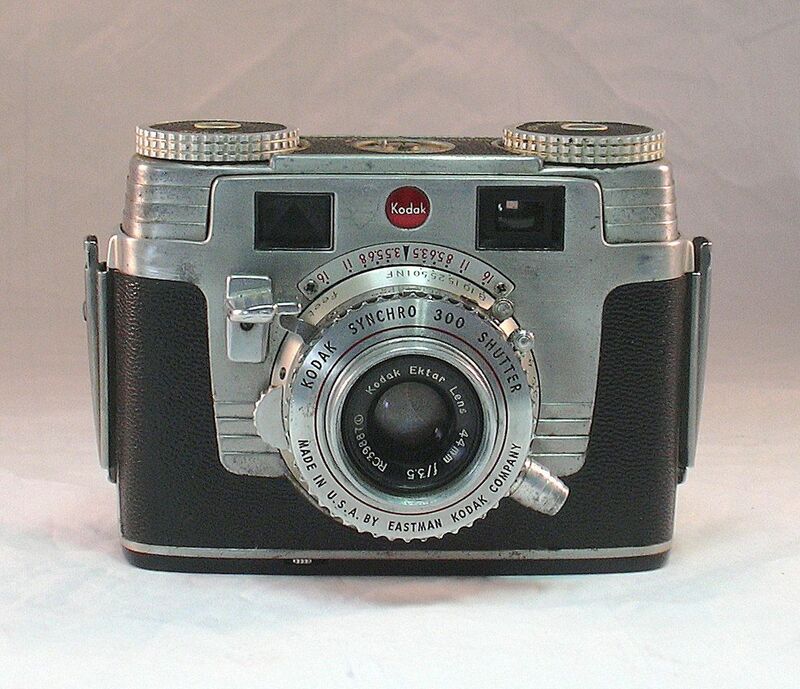 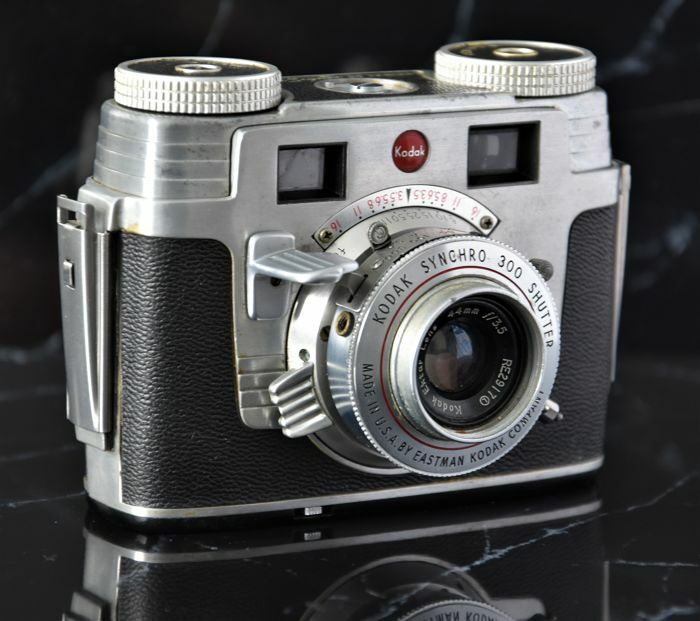 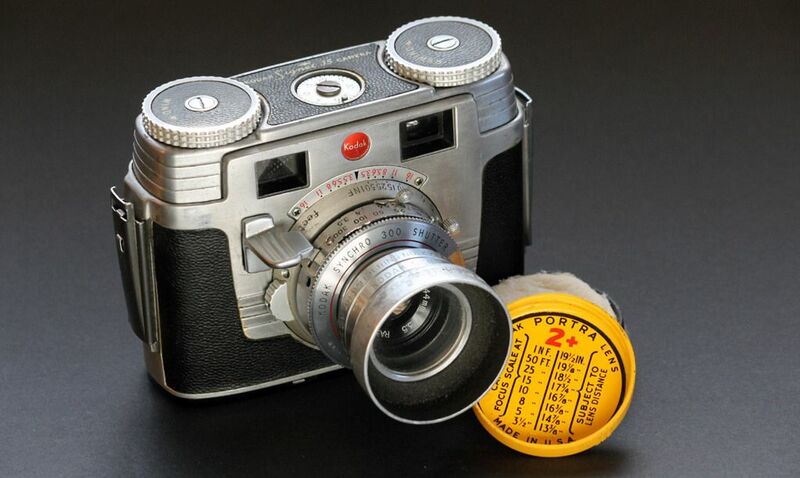 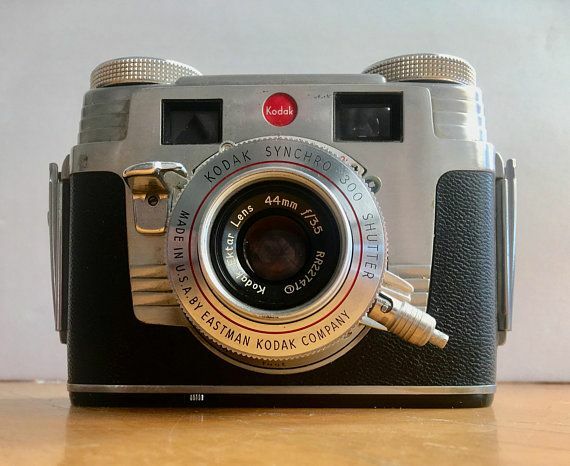 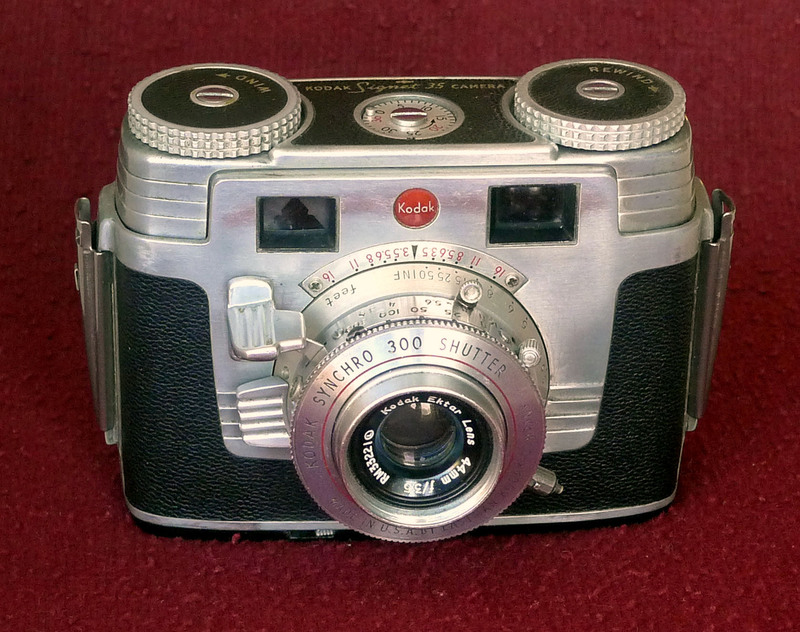 1952 KODAK 'Signet 35' 35mm Rangefinder Camera. 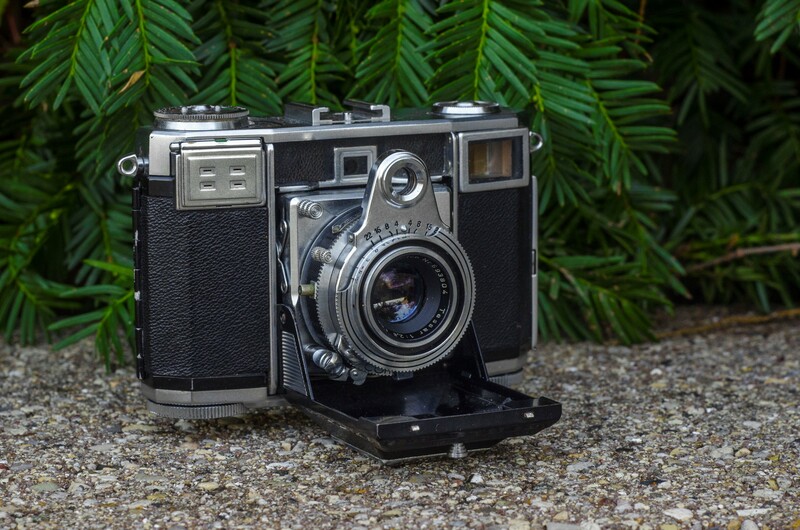 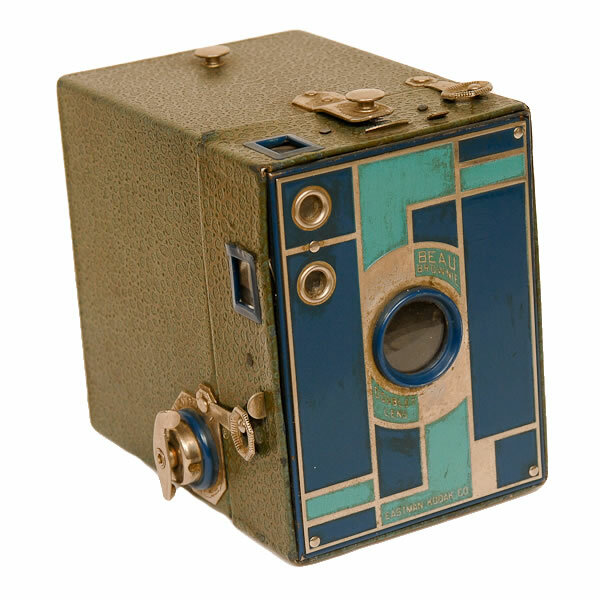 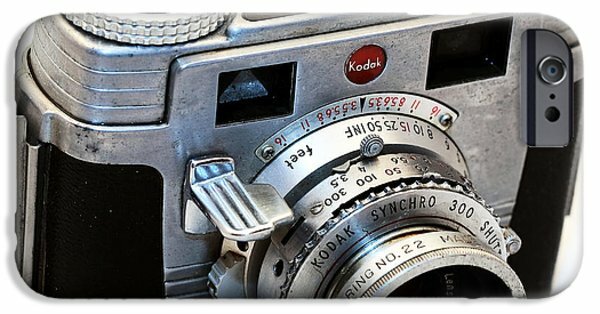 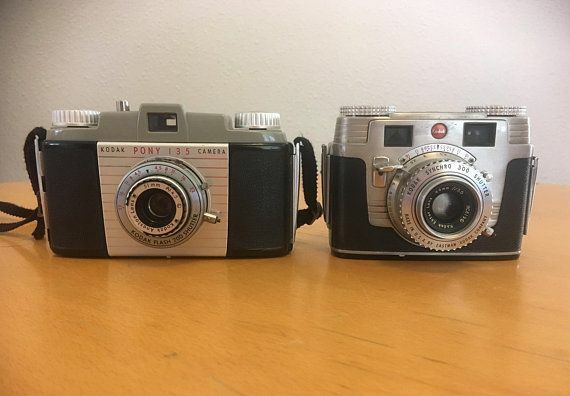 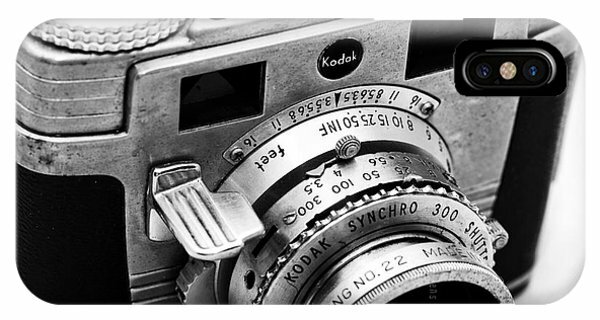 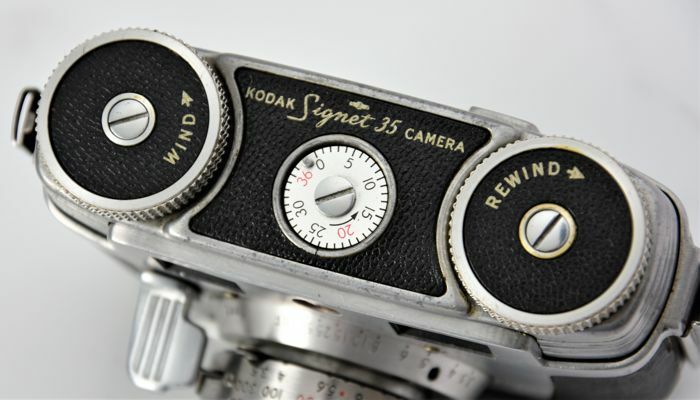 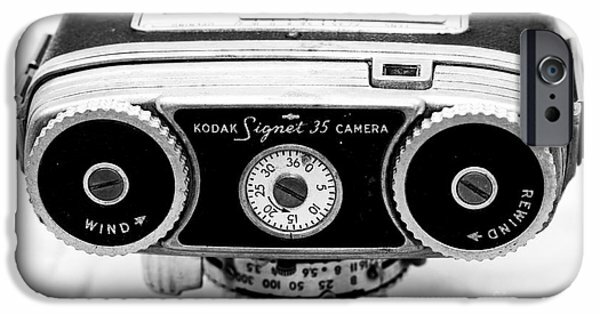 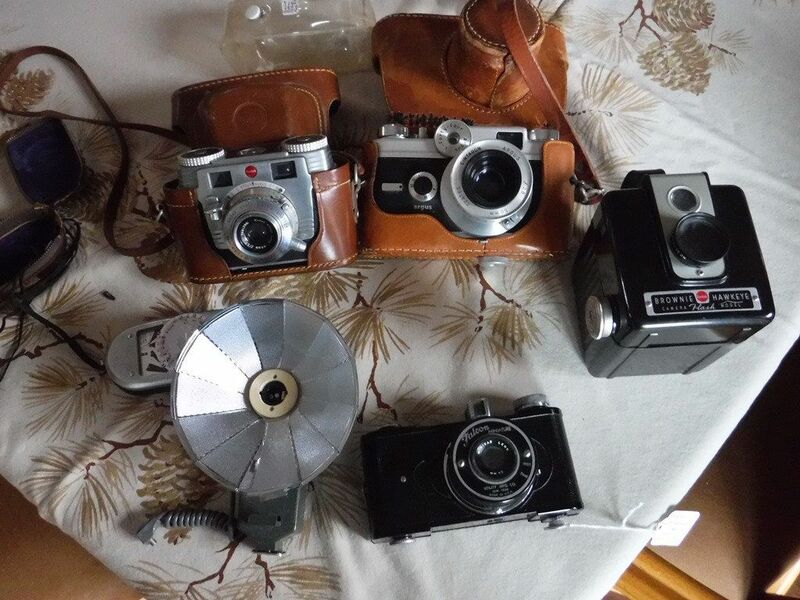 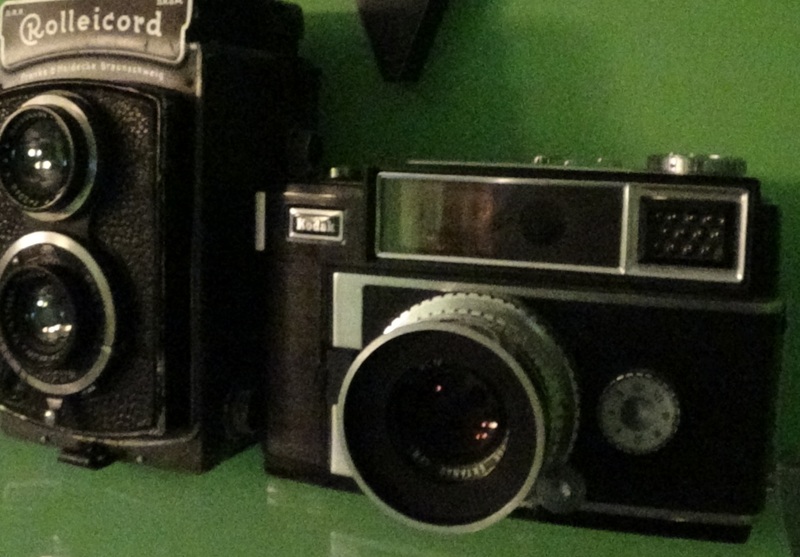 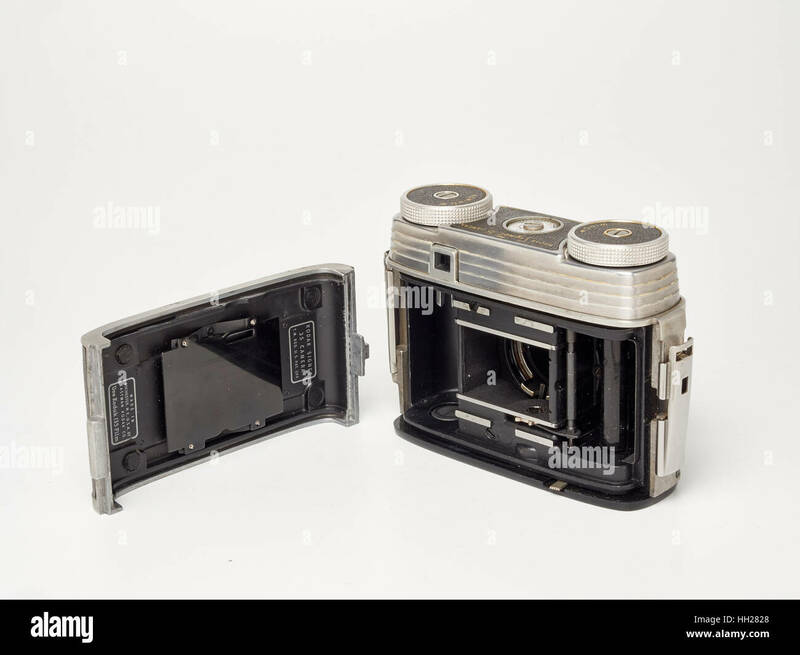 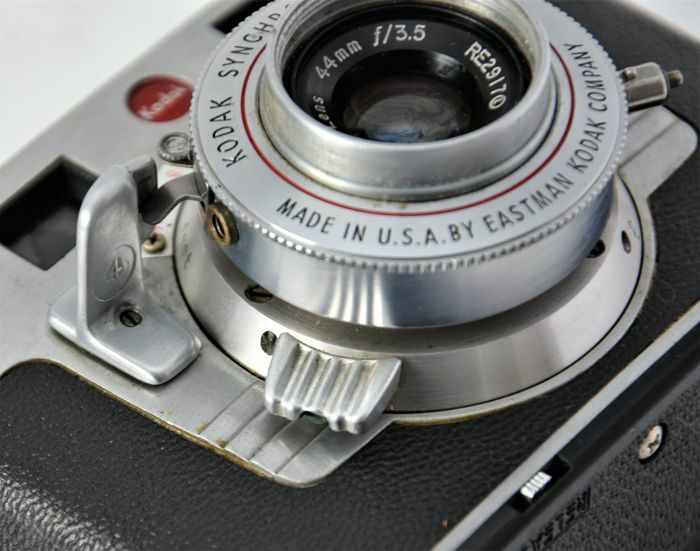 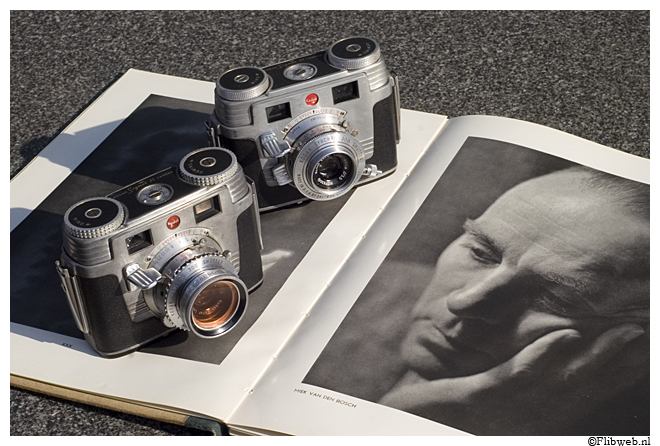 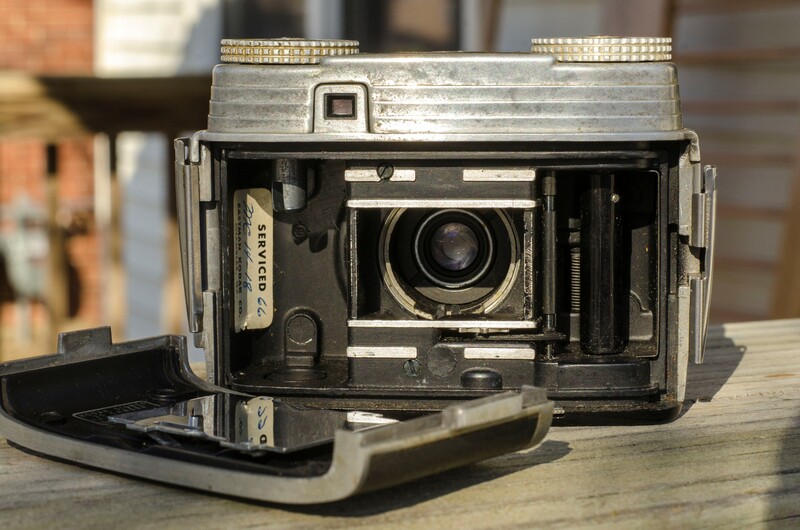 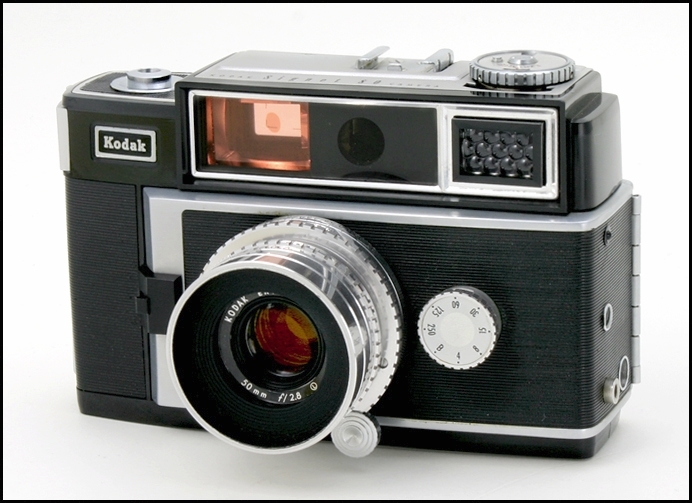 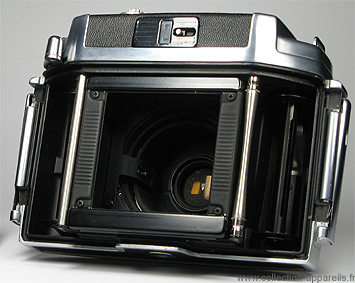 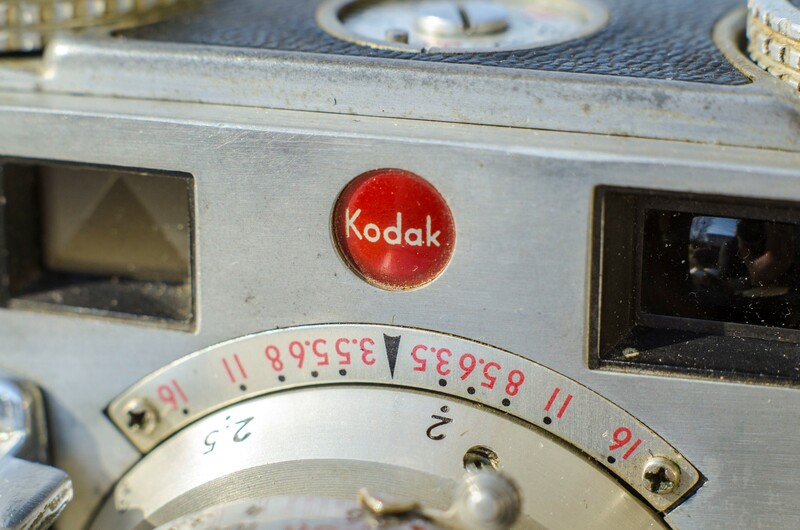 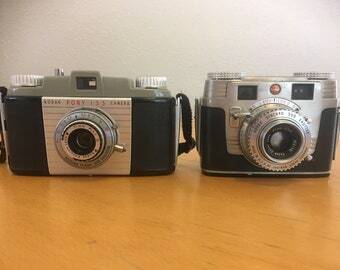 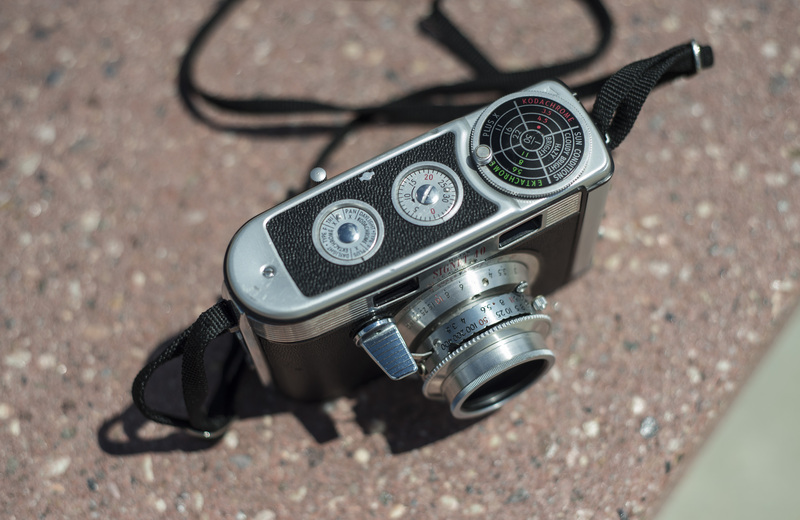 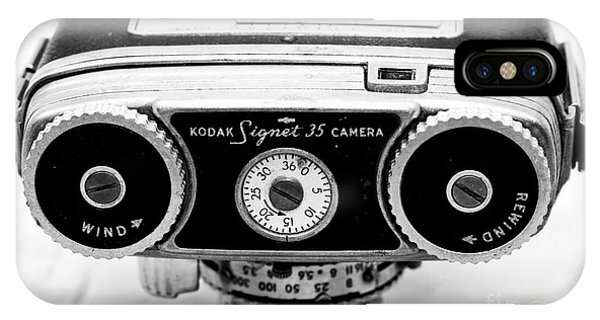 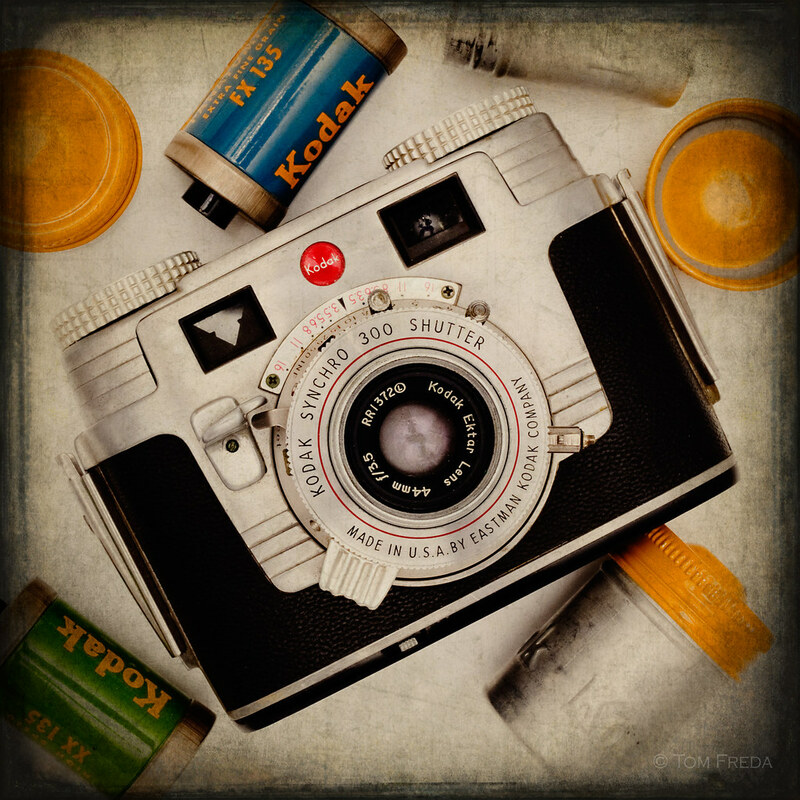 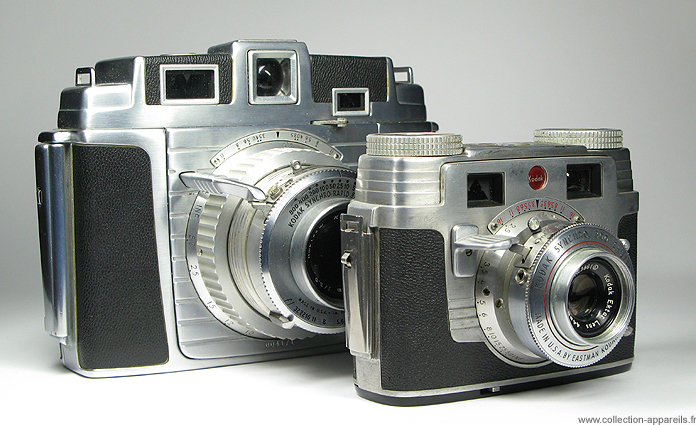 The medium format Kodak Chevron and 35mm Signet 35 shared many design elements. 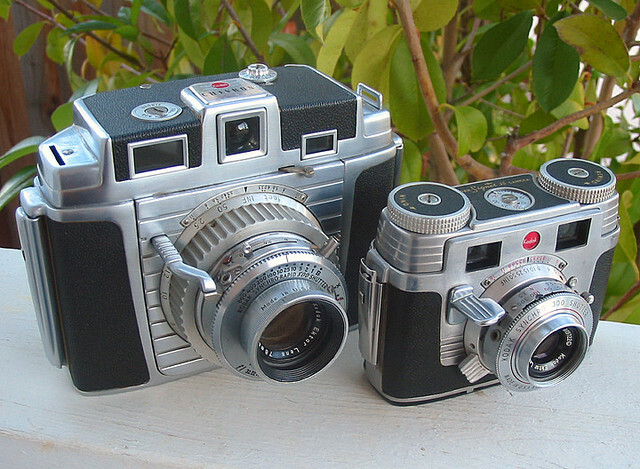 The two different styles with the knurling on the knobs and shutter speed ring. 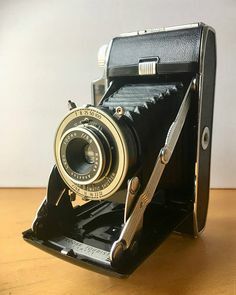 And a different focus tab. 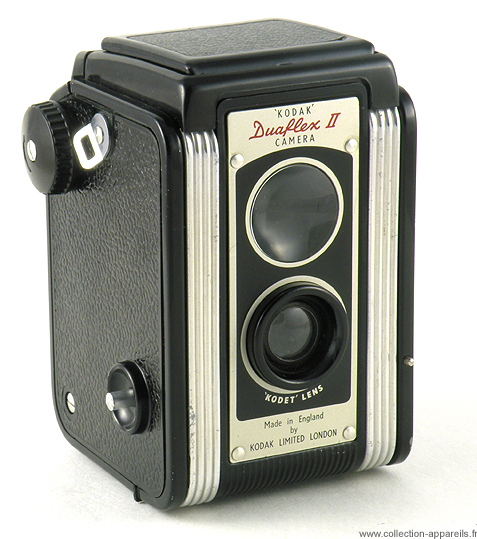 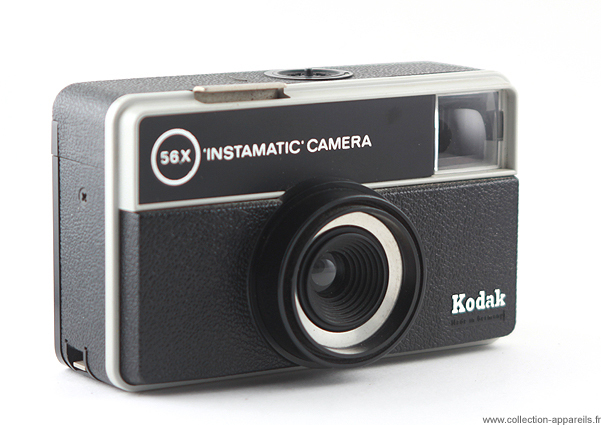 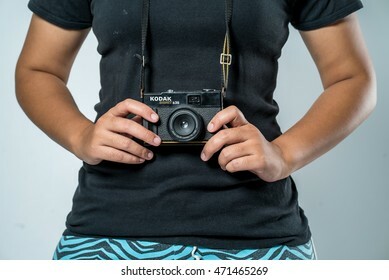 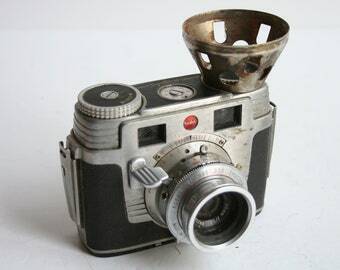 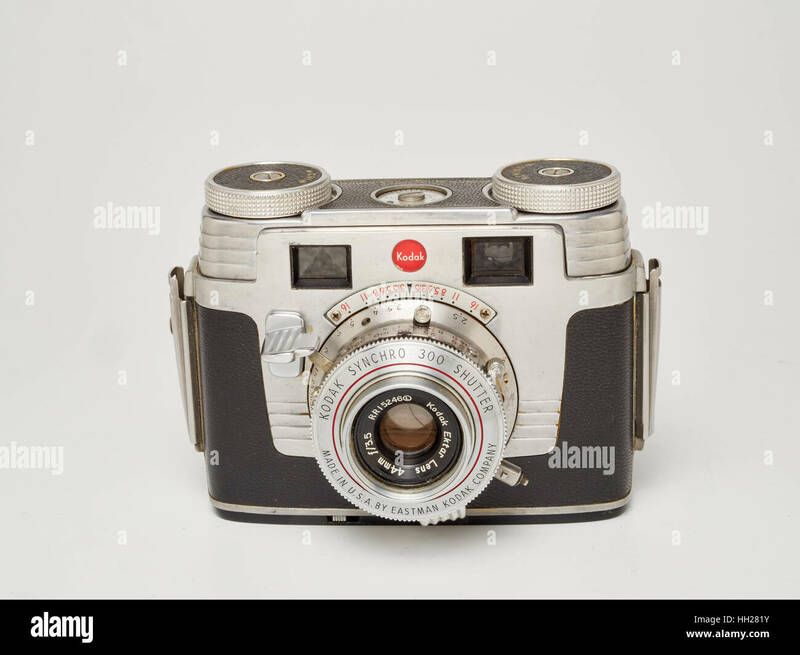 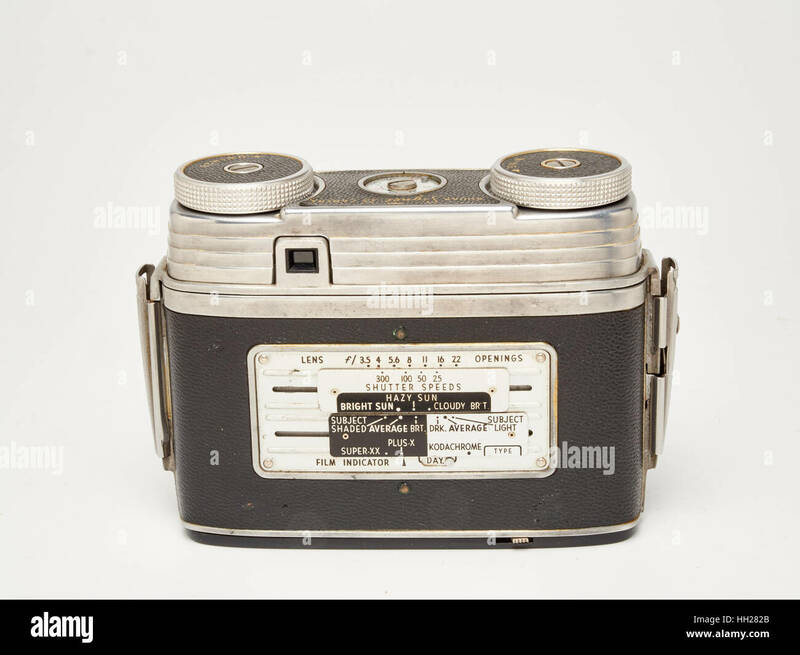 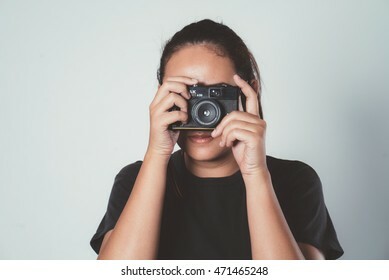 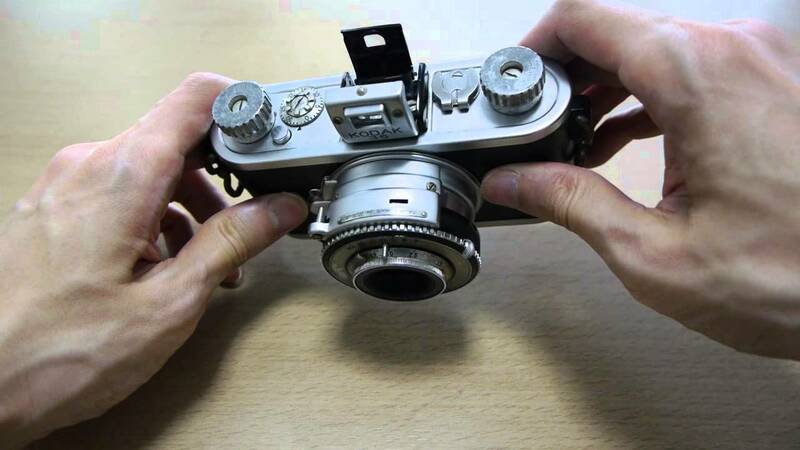 You advance the film with 3 strokes with the film advance lever. 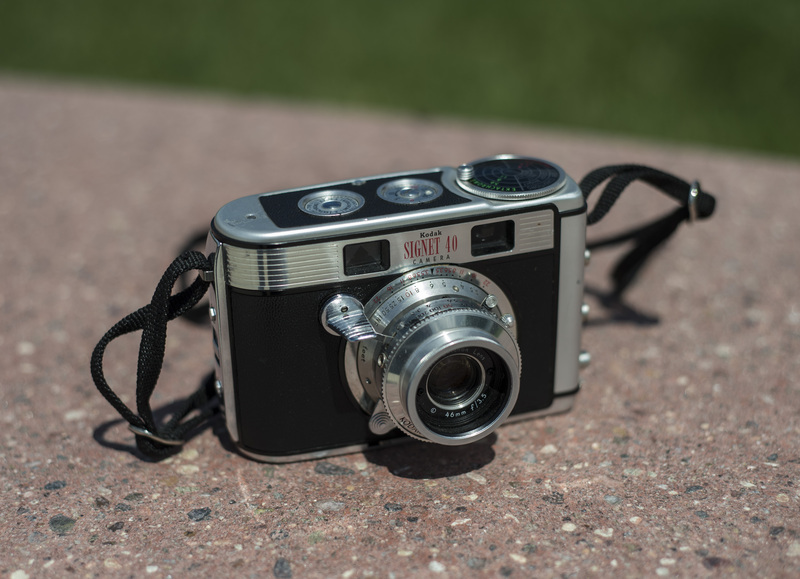 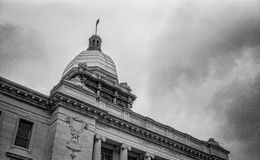 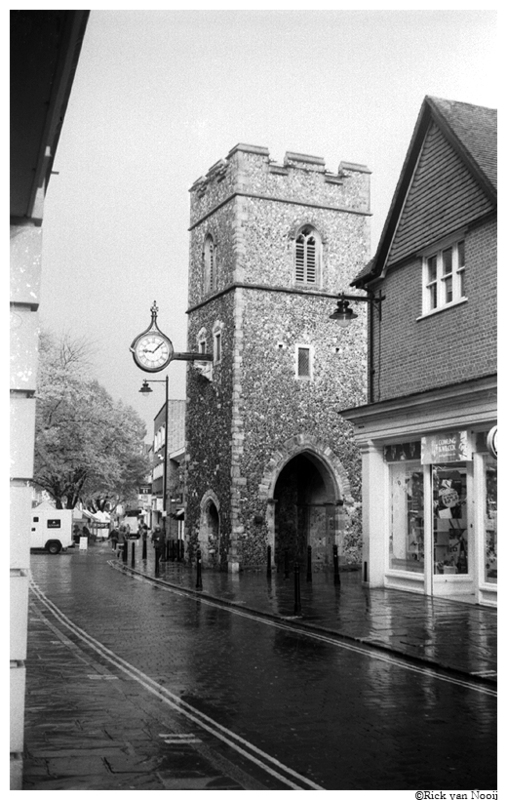 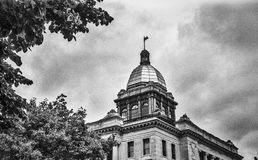 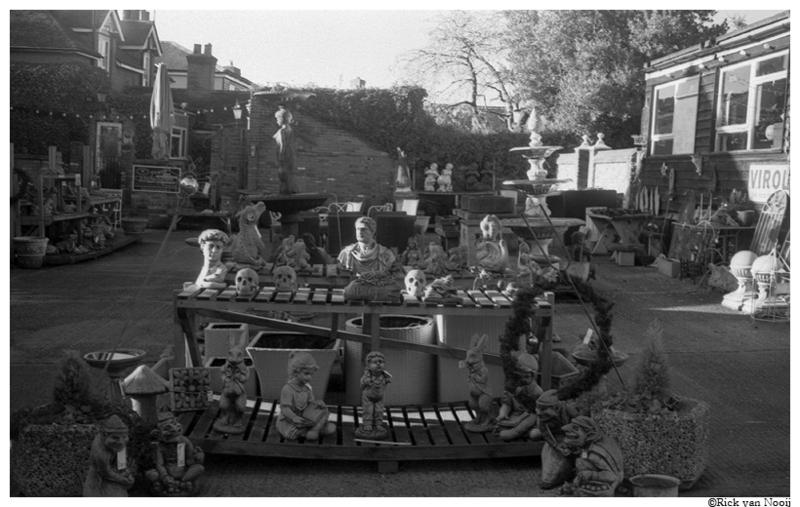 The Signet is a true totally manual camera with no meter and no battery required. 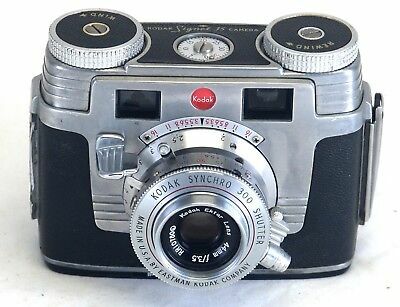 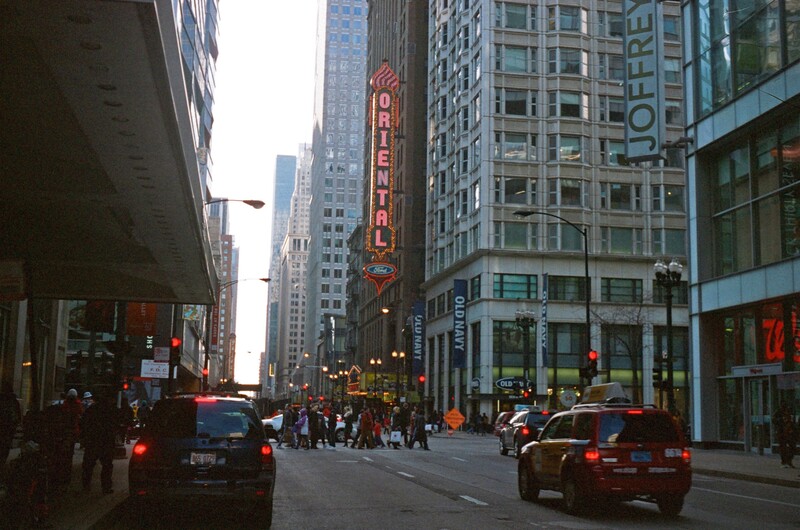 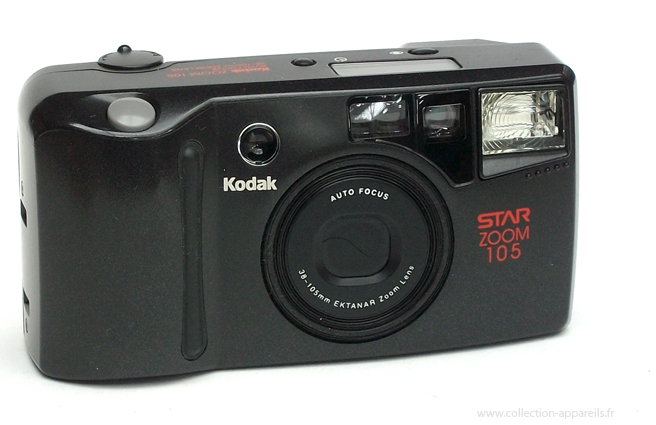 Kodak Signet 35 by John Hancock, on Flickr This is a solid little camera, and I really like the ergonomics. 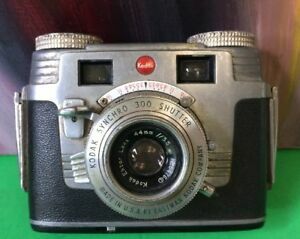 It sits comfortably in my hands at eye level. 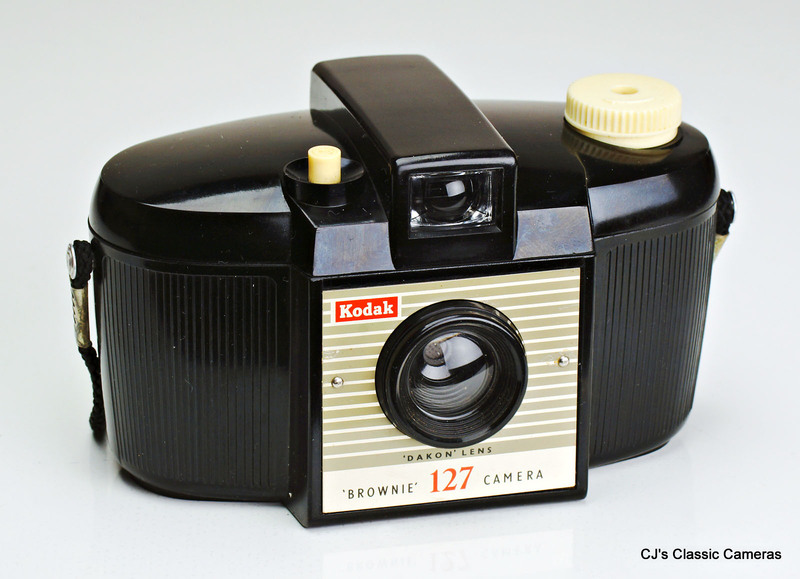 This was a common molded bakelite plastic case which featured a variety of model names including Brownie Holiday Flash and Brownie Bullet.